HYPE – Bloat Games’ SURVIVE THIS!! Zombies! 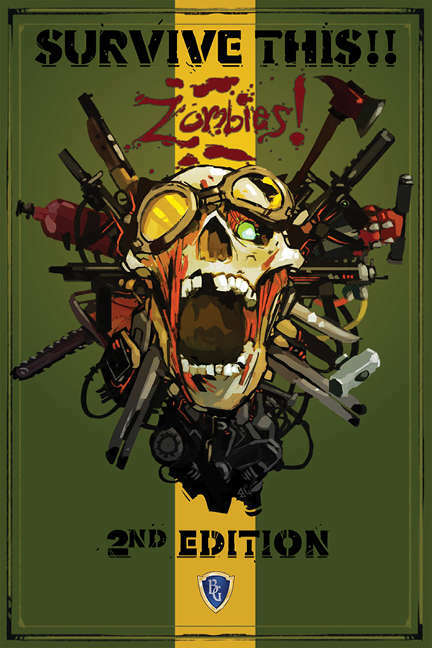 2nd Edition – Core Rule Book Available Now! Let’s start with fellow blogger and all around fun guy, Justin Ryan Isaac. He went so far as to do a blog post about SURVIVE THIS!! Zombies! 2nd Edition – Core Rule Book on his site, Halls of the Nephilim. Head on over to DriveThruRPG and pick up a copy of SURVIVE THIS!! Zombies! 2nd Edition – Core Rule Book.